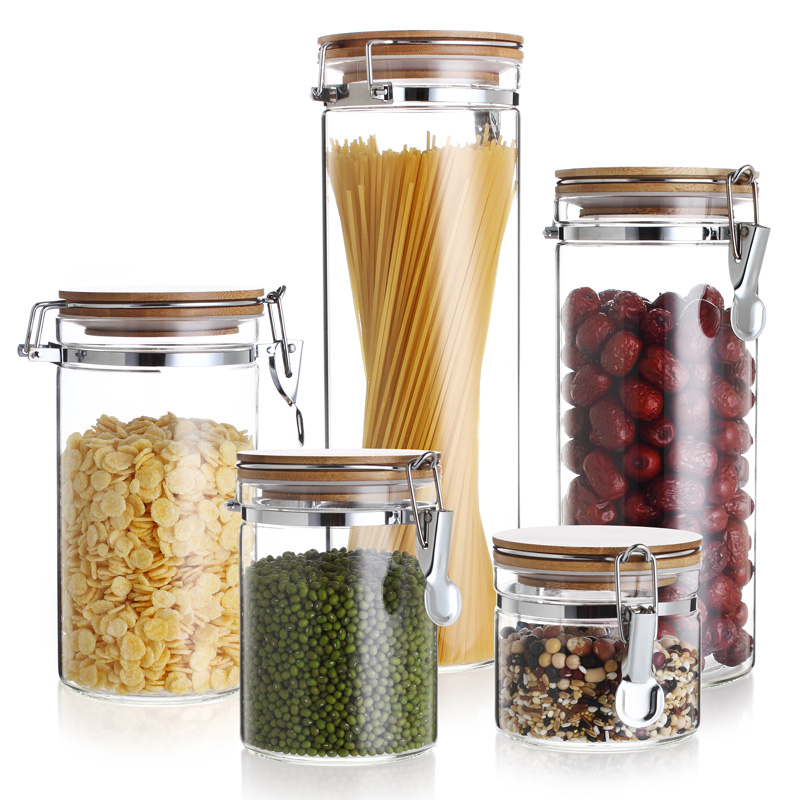 Metal lock, multi-purpose sealed storage container. 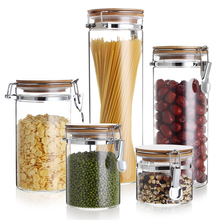 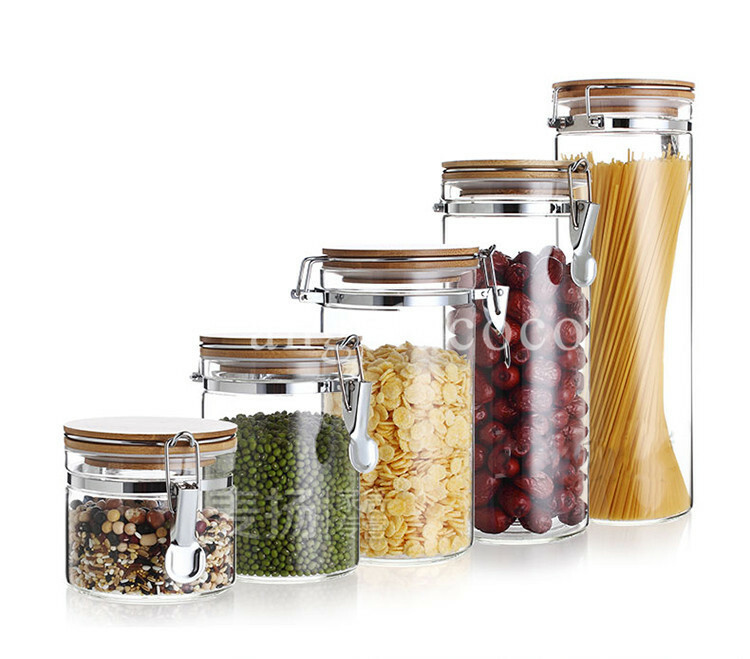 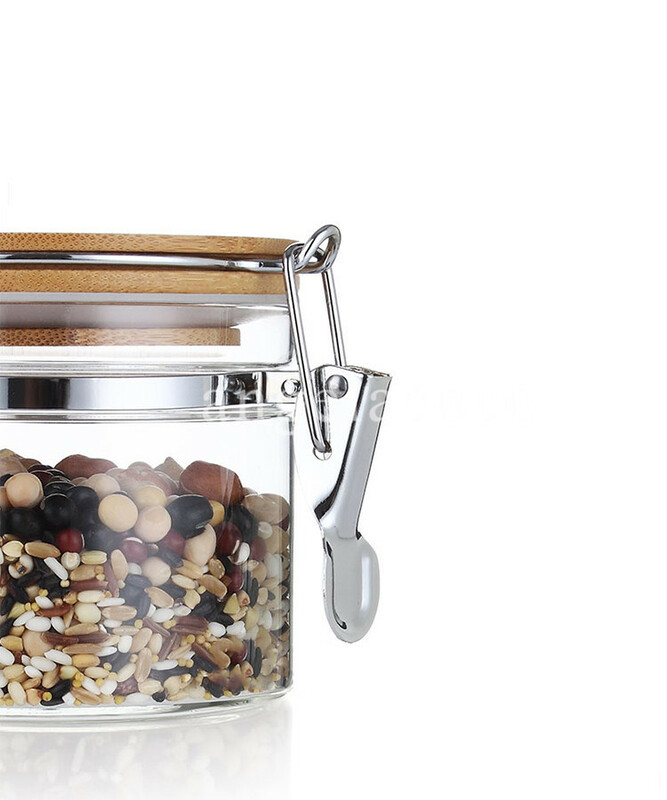 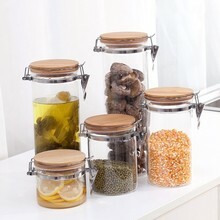 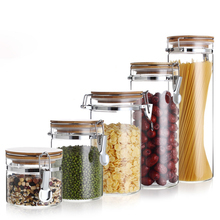 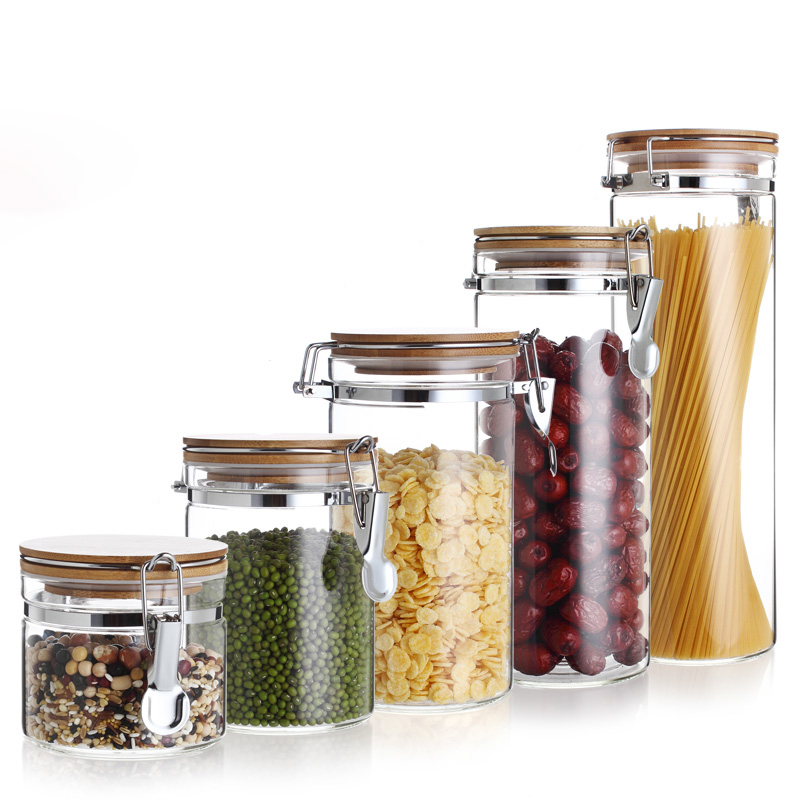 It can be used to store dried fruits, whole grains, kitchen condiments, snacks, tea, coffee, etc. 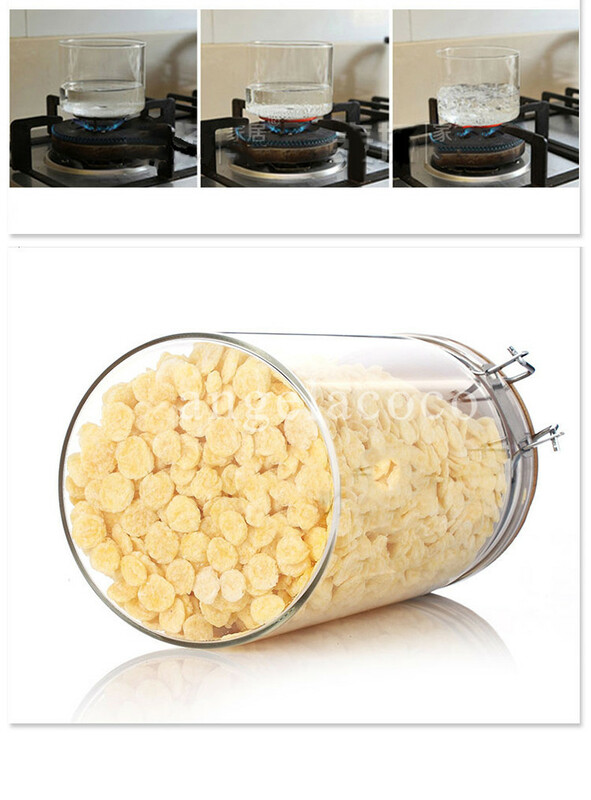 Borosilicate material is heat resistant, cold resistant and corrosion resistant. 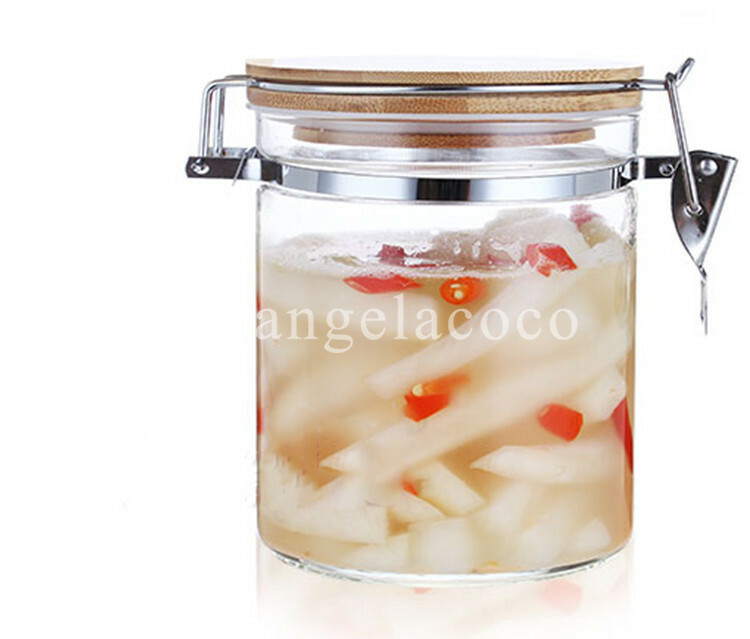 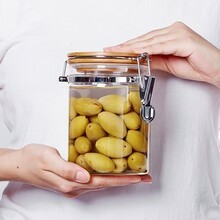 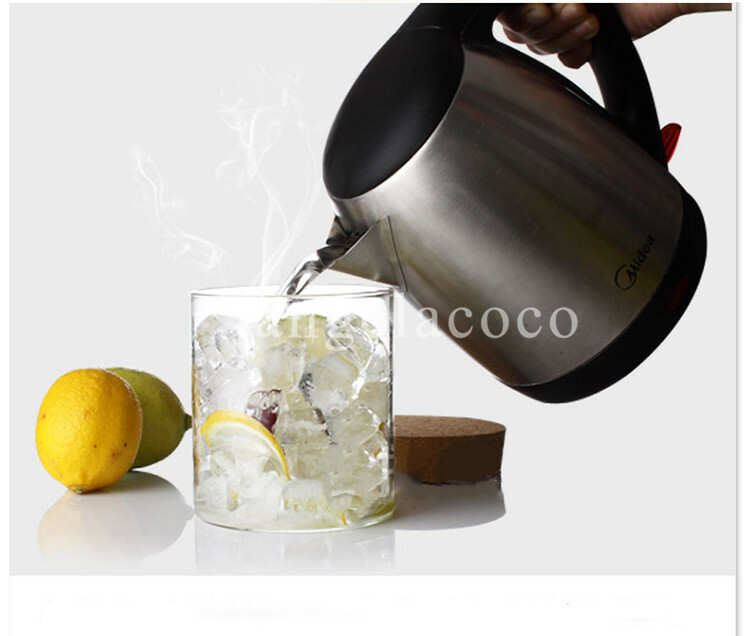 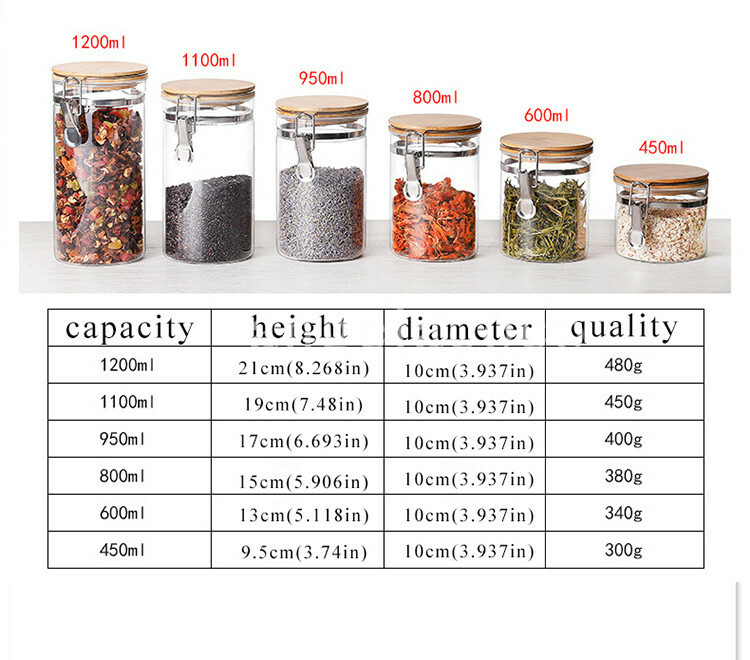 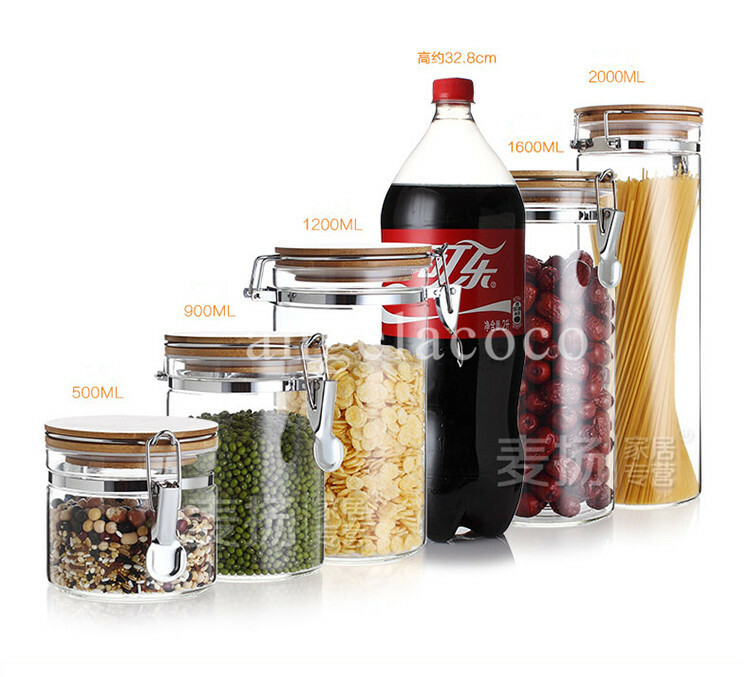 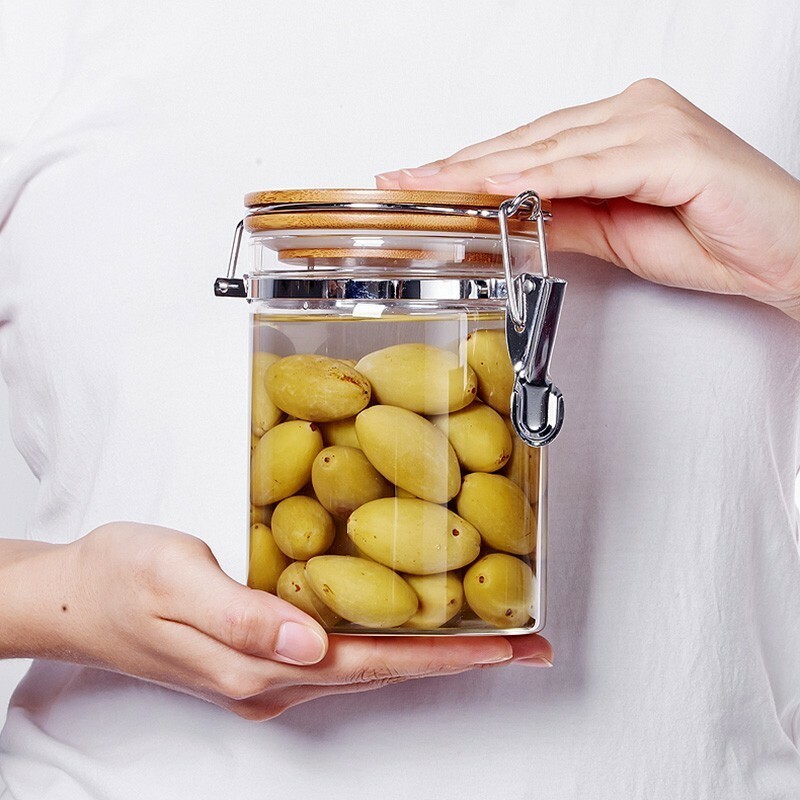 The borosilicate glass material is light and transparent, perfectly showing the original appearance of the stored items. 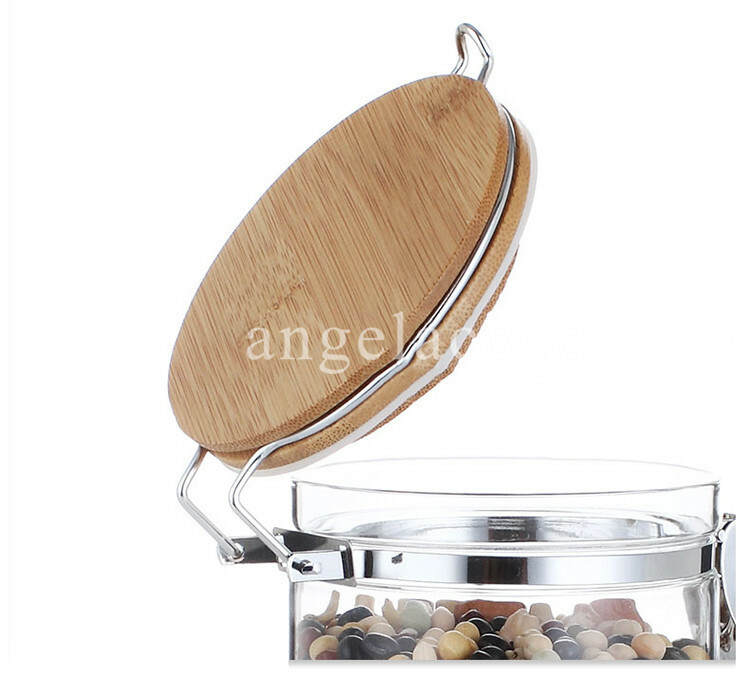 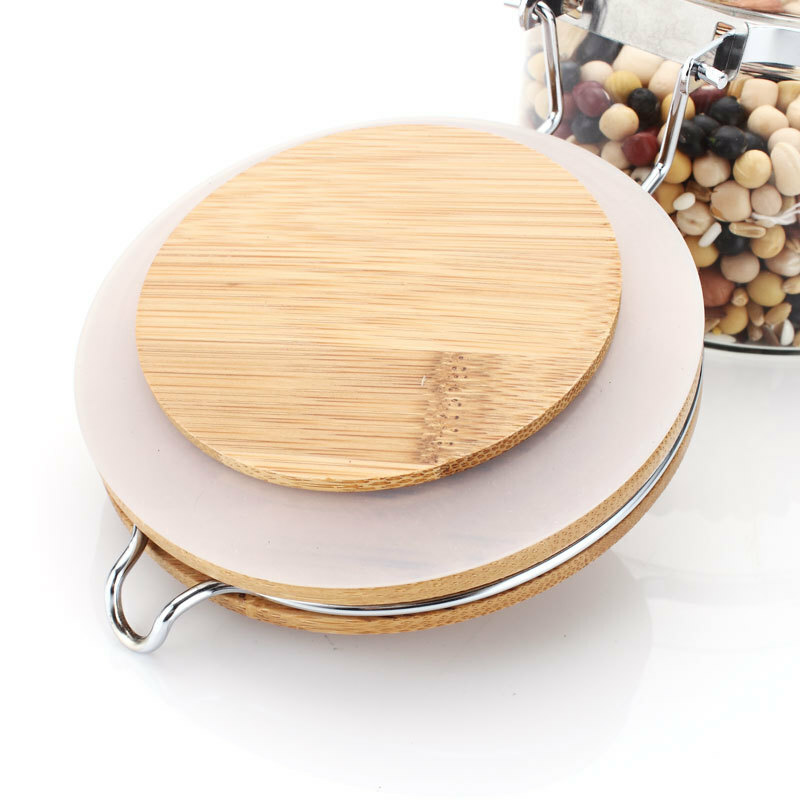 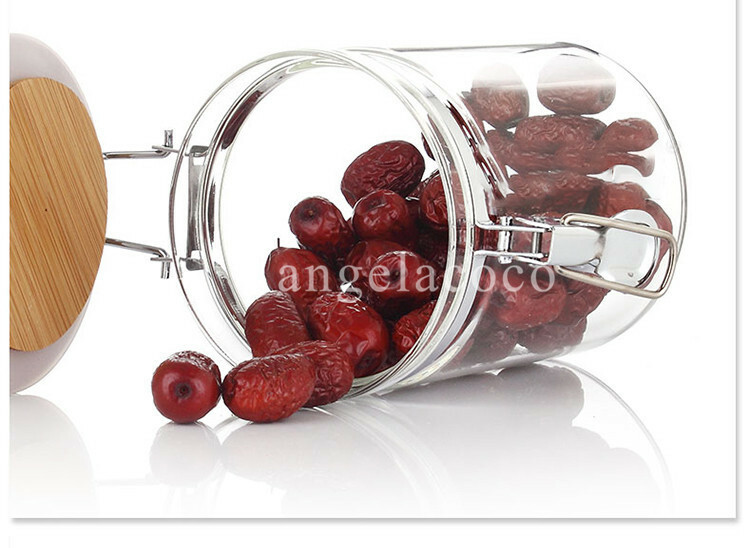 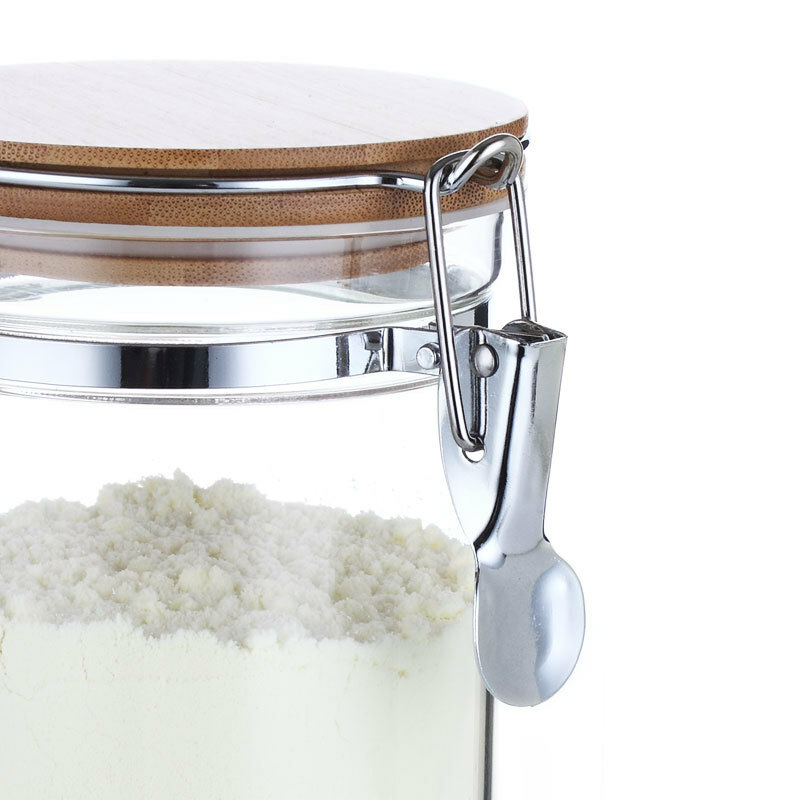 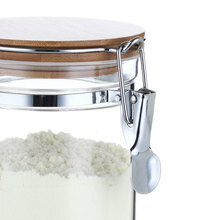 The wooden lid with sealing ring is well airtight and healthy, and metal snaps for easy access.